Visit Grapevine Books for quality nonfiction books, greeting cards, jewelry, and, of course, Bibles. It is a place where readers of all ages can be inspired and equipped to live a life of faith. The threefold mission of Grapevine Books is to provide excellent resources to our congregants and staff; to support the programs of the church; and to reach out to the local community in Christ’s name. 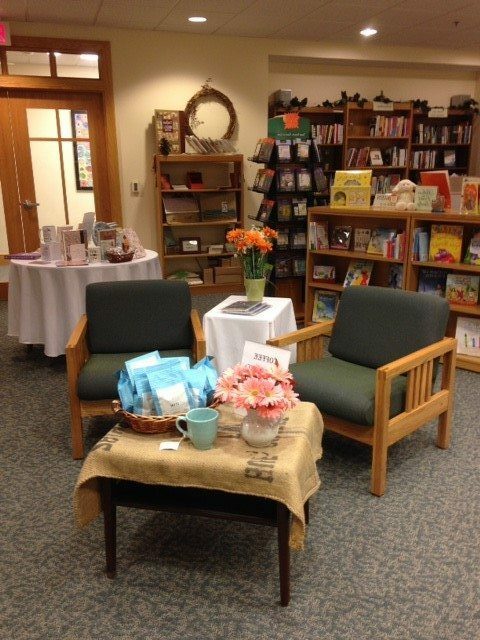 As the only Christian bookstore in Vienna, Grapevine strives to be a welcoming, approachable resource for our community. Sign up for the Vine Advantage frequent buyer program and receive discounts Vine Advantage Form. It can be returned to Grapevine Books or emailed to grapevinebooks@viennapres.org. Grapevine Books will special order books requested for pick-up on Sunday morning or during any regular business hours. Bible study, small group, or Sunday school class bulk ordering is available. There is 15% discount on all group orders of 5 copies or more of one title.